Woe, my Faithful Reader… Woe! I have missed my last two book club meetings. Not only do I miss my fellow members, but I also miss reading the books! January’s book has been announced and I pounced on the little free time I had to run out and buy the book. This is fair because I deemed my book club purchases acceptable… However… at the book store, things changed. 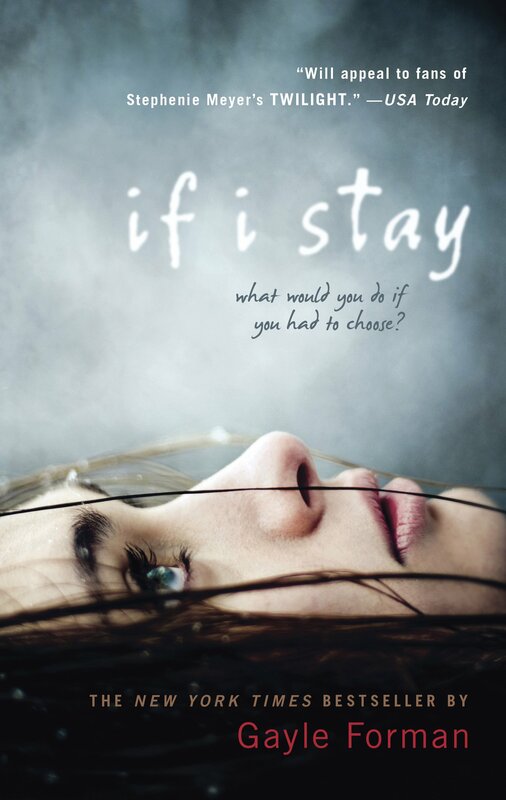 January’s book is “If I Stay” by Gayle Foreman. Less than 300 pages, and over a month to read it, I am amped to get to work. After scouring the shelves, I finally found this teen title in the worst place imaginable: The ‘Buy 2 get 3rd free’ table! As a side note: I’m not too sure about the whole ‘Twilight-fans-would-love-this’ thing… But weighing in at 237 pages, at least the torture will be over sooner! Whenever I see this table I choose all the books I would buy and just keep them as ideas in my head. THIS time, I had already checked ahead of time to see if the prices online would be cheaper and discovered that they were exactly the same (shock!) so naturally, I justified selecting two more titles because they would be a better bargain. The first ‘extra’ book is “Will Grayson, Will Grayson” by John Green & David Levithan. A book about two boys with the same name (one capital Will Grayson, the other, non-capped will grayson) that meet randomly in a city and oh-how-awkward one of them is gay! Written in alternating chapters, each author tells the story of one boy, which sounds pretty interesting… but the verdict is still out. 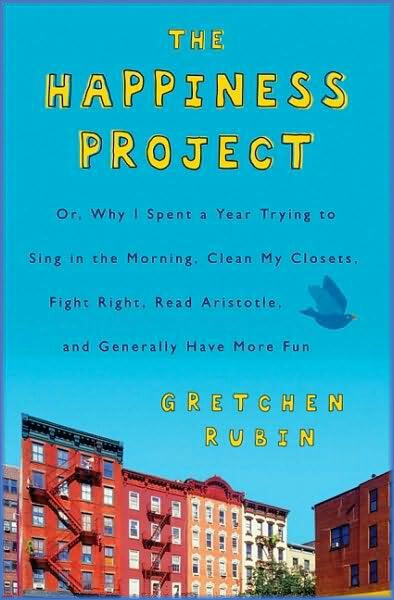 The second ‘extra’ is “The Happiness Project: Or, Why I Spent a Year Trying to Sing in the Morning, Clean My Closets, Fight Right, Read Aristotle, and Generally Have More Fun ” by Gretchen Rubin. The author spends an entire year trying to enjoy the little things in life and training herself to be happy with what that life has to offer. Unfortunately, it doesn’t seem like she realizes that she could legally change her name to something that doesn’t sound like it’s coming from a bathroom stall in a college dorm. Instead she tells us that something as simple as ‘putting on shoes’ is enough to make someone happy. Right. Tying laces is fun, Velcro is totally acceptable in adult footware, and when you wear slip-ons, that Hokey-Pokey-foot-stomp-and-shuffle maneuver to get it in there right really makes me want to dance like a preschooler since I’m halfway there already. John Green is one of my daughter’s favorite authors. When Will Grayson Will Grayson came out we actually went on a pilgrimage to Madison, CT for a reading with Green and David Levithan.